Enjoy a hearty Italian lunch, family-style, with star chef Joe Hurd at Inox on Friday 18 November. Joe Hurd made his television debut on Saturday Kitchen and viewers called for Joe to permanently present the BBC show. 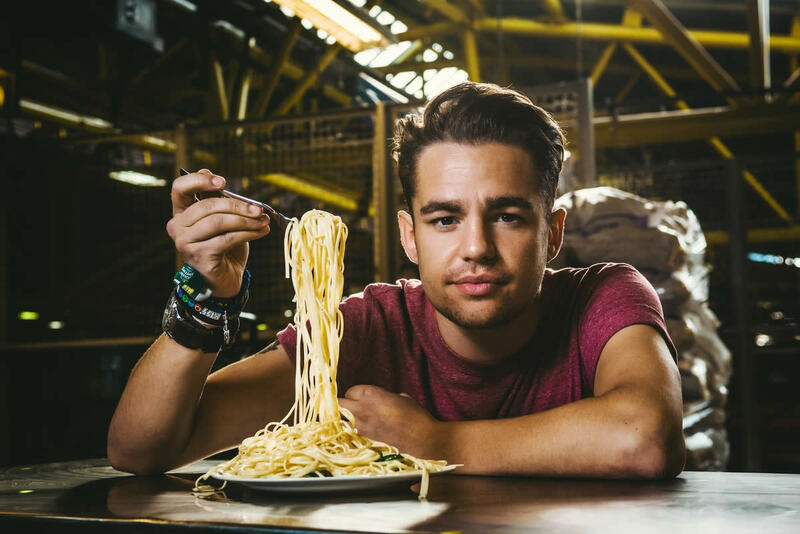 Other credits include ITV’s prime-time show The Munch Box, Channel Five’s The Saturday Show, The Discovery Channel as well as travelling Europe to find his ‘5 Best Things’ for the Travel Channel. Joe has worked in restaurants alongside revered chefs such as Francesco Mazzei, Claude Bosi and José Pizarro, as well as behind-the-scenes on shows for Paul Hollywood and Heston Blumenthal; but his real passion lies in supper clubs where, true to his Yorkshire-Calabrian roots, he recreates the big family meals of his youth. Please let us know at the time of booking if you have any special dietary requirements so that we can cater for your needs. Book your tickets for this event on Eventbrite now.